26.01.2017. © All Rights Reserved. 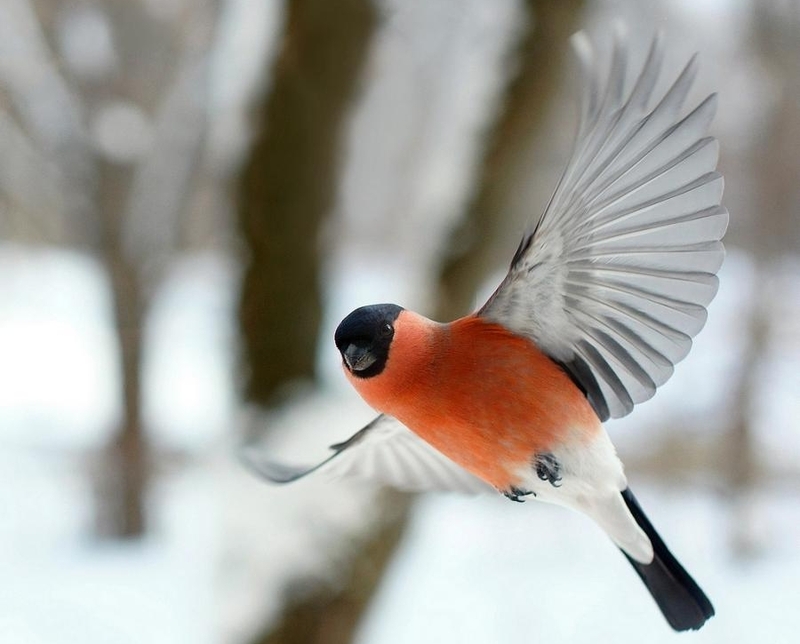 For my foreign readers – Dear all, I have the honor to introduce to you my new poem written in Armenian and titled “The Bullfinch of My Soul” (written by me on January 26, 2017). As always I tried to translate the poem for all my foreign readers. The following is a literal (word for word) translation of the poem, trying to make the meaning of the poem more understandable and available for all. 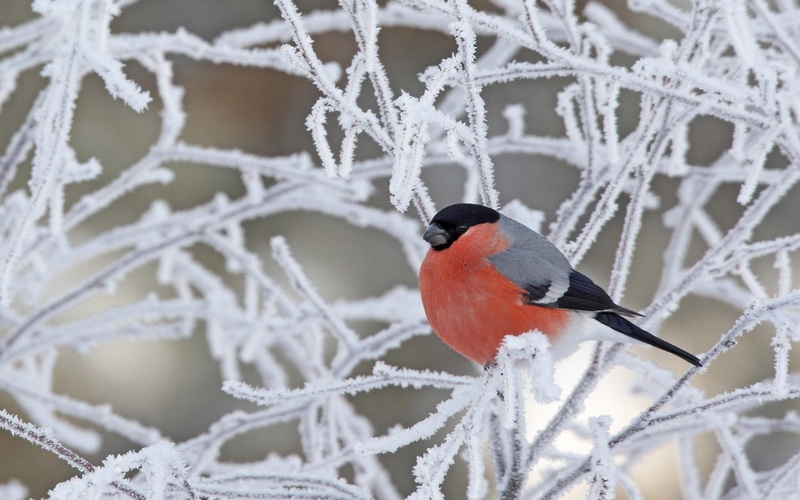 And has also awakened the frisky Bullfinch in my Poet’s soul. Which have imprisoned thoughts with their rusty metal arms. Would be able to tell everyone that a new poet was born in the world to praise love. As in this white winter cold there is red and spring in my soul. © Author – Arlen Shahverdyan, 26.01.2017. The poem is translated into English by the author. Գրել եմ՝ 18.01.2017. © All Rights Reserved. Dear Readers, have you ever felt how much our souls are filled with love and light every time when we tell our loved ones the words “I love you …”?. Have you ever noticed that we are filled with inspiration while telling about our love? It seems like we have wings to fly. It seems that our heart is ready to get out of our chest. The blood flows quickly in our veins. Every time when we say “I love you” we become like a spring snowdrop that was waiting for bright sunrise under the snow cover for a long time. When we hear or when we say: “I love you” we become as a tender flower which is shining with boundless happiness while looking at sun. When we say those beautiful words of love to our loved ones their faces become so full of light. Looking at our loved ones we look at the whole world and the whole world is seen inside them. Tell each other that you love and at that moment the world will become brighter, more positive and more beautiful. I also presented in this post my new poem “It has driven me crazy”, about the boundless love and admiration to beloved woman. Գրել եմ՝ 15.01.2017. © All Rights Reserved. 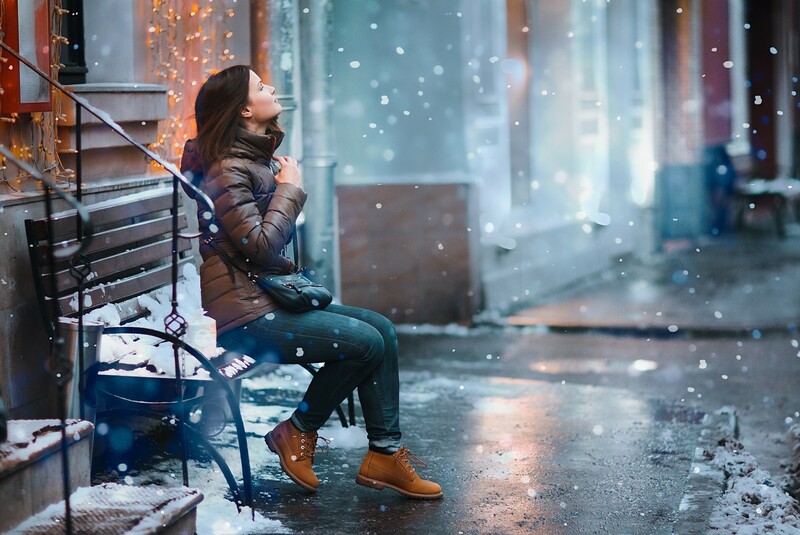 In winter days become shorter, evenings are more lyrical, words are more sensitive, lips are colder than usual, tea is more pleasant, coat is more close, street lights are more symbolic. The winter has covered everything with it magic carpet – the snow and now the main leader among the colors is the white. The places we used to know became unbelievably different, the snowflakes we used to admire, became unbelievably active, the smells we used to ignore became so inspiring and lovely – the smell of fresh and cold air, the wet leaves or the smell of hot soup. The cities and town have disappeared under the snow or have changed so much that there remained only their contours, but the content is totally changed, it is sleeping under the snow. 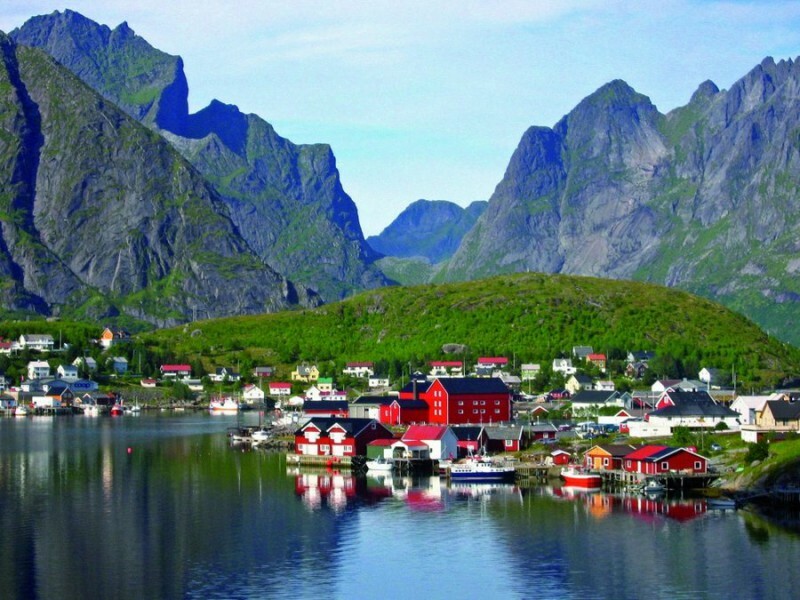 For example, look at this Norwegian little town called Reine. 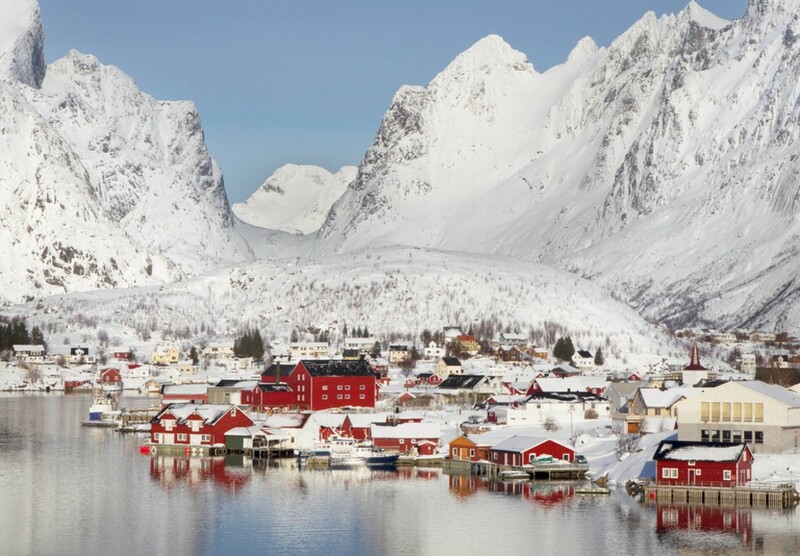 See how colorful it is in summer and how white and fabulous it is now, in winter. What a wonderful transformation. Enjoy also the magic of winter listening this wonderful music by Armenian famous composer and song-writer Mikael Tariverdiev. Today I also wrote a poem in Armenian about the warmth of winter under its cold cover of snow and about the “The Warm Necessity” which each person needs while there is cold in his soul. I describe that winter is cold and frozen above its cover but under its snowflake made carpet there is so much warmth, care, tenderness and warm hugs. You should see, discover the unseen warmth, tenderness and care of winter under its frozen carpet. Dear Readers, I wish in the world lives in love, peace, harmony and unanimity. I’ll do everything with my humble efforts to reach that peace. I am sure that you will do the same. Watch this video. Though it is commercial, it wondrefully expresses the most important thing in life: we all must live in love and peace, let’s make love not war. I also presented a new poem in Armenian, entitled “Along the Winter-Spring Path” which is about all couples in love, who sometimes quarrel, but love each other and can’t live without one another. And even if one of them is like Winter: cold, indifferent and the other one is like Spring: warm, loving, passionate and tender, they will be together anyway and will walk together along the same path of love in their life, the so much important path, which can be called a Winter-Spring Path. Everything is changing in life and if they are at loggerheads today, they still will reconcile, they will soon live in love and peace. Dear Readers, as you know Armenian Church is Apostolic, because it was founded directly by two of the twelve apostles, Saints Thaddeus and Bartholomew who ordained the first Armenian bishops. Armenia became the first state in the world to adopt Christianity as its religion, in the early years of the 4th century (301 AD). Each year, on January 6, the Armenian Apostolic Church celebrates the Feast of the Holy Nativity and Theophany of Our Lord Jesus Christ, which is the commemoration of the Birth and Baptism of Jesus Christ (Christmas). God was incarnated and appeared to the people. During the Baptism of Jesus God the Father said, “This is my Son, whom I love; with him I am well pleased” (Mt 3:17) and the Holy Spirit descended on Christ in the form of dove, so God appeared to the people for the second time. So, both Theophanies revealed by means of the Birth and Baptism of Jesus Christ are celebrated in the Armenian Church jointly on January 6. The feast starts on the eve, in the evening of January 5, and is continued after the midnight. On the eve a solemn Candlelight Divine Liturgy is celebrated and on January 6 a solemn Divine Liturgy is celebrated. At the conclusion of the Divine Liturgy Blessing of the Waters Service is conducted symbolizing the Baptism of Christ in the River Jordan at the commencement of His ministry. By means of His Baptism Jesus blessed water. The Birth of Jesus happened in this way. “In those days Caesar Augustus issued a decree that a census should be taken of the entire Roman world. … And everyone went to his own town to register. So Joseph also went up from the town of Nazareth in Galilee to Judea, to Bethlehem the town of David, because he belonged to the house and line of David. He went there to register with Mary, who was pledged to be married to him and was expecting a child. 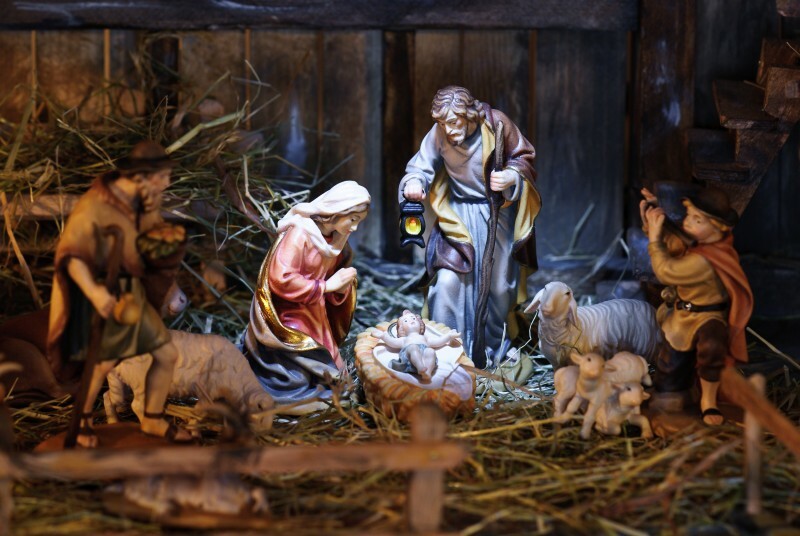 While they were there, the time came for the baby to be born, and she gave birth to her firstborn, a son. She wrapped him in cloths and placed him in a manger, because there was no room for them in the inn.” (Lk 2:1-7) The Son of God was born in poverty, in a manger. The witnesses of His Birth were the shepherds living out in the fields nearby, whom the angels had appeared and brought the good news of the Birth of the Savior singing: “Glory to God in the highest, and on earth peace to men on whom his favor rests.” (Lk 2:18). Ահա ամենը, ինչ ուզում եմ. Առաջարկում եմ նաև լսել նույն երգը հայտնի և սիրված անգլիացի երգիչ Մայքլ Բուբլեի գեղեցիկ կատարմամբ, ինչպես նաև նշածս կատարումը` «Love Actually» ֆիլմից՝ Օլիվիա Օլսոնի հրաշալի ու հուզիչ կատարմամբ. Dear friends, this large article in Armenian is a kind of a tribute to one of my most favourite songs “All I want for Christmas is You”. 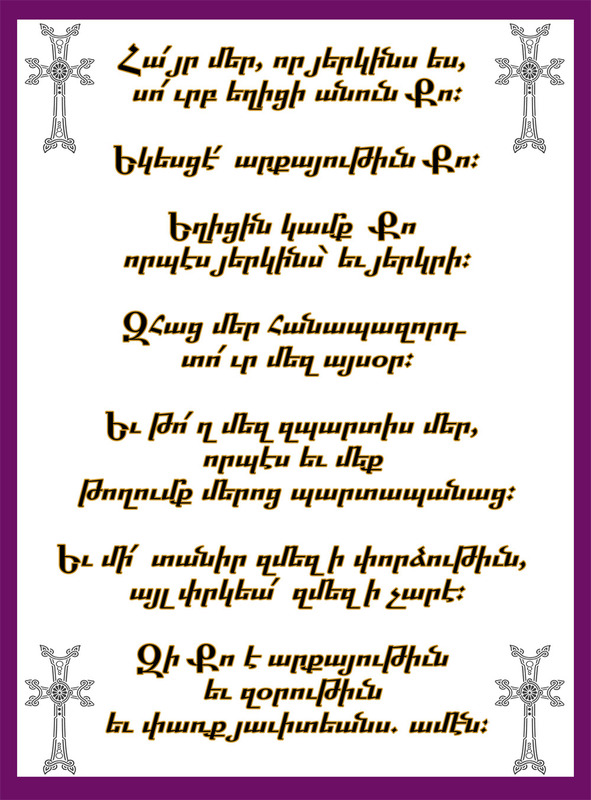 I posted also the word in word translation in Armenian (done by me) of the song’s lyrics, as well as performances of this lovely song by Mariah Carey (as well as Justin Bieber Duet with Mariah Carey), Michael Buble and Olivia Olson, the little actress-singer from the film “Love actually”. Listen to this wonderful song once again. Merry Christmas and Happy New Year!